Old soldiers never tell their war stories? This one did: "General Johnstone tried to compliment us on our 'work' but was cut up too much when he heard of our losses. He was visibly affected. We marched to Mametz Wood and there Col. Plugge also tried to address us but he could not control his feelings either. We went into the trenches with 804 men. Came out with 201. Our casualties for the two stints were 603. Plugge was far too cut up to say a word about it. We camped in the woods for the night..." Onesimus William Howe served in the Auckland Infantry Regiment. His unit was the first to hit the beach at Anzac Cove in Gallipoli. 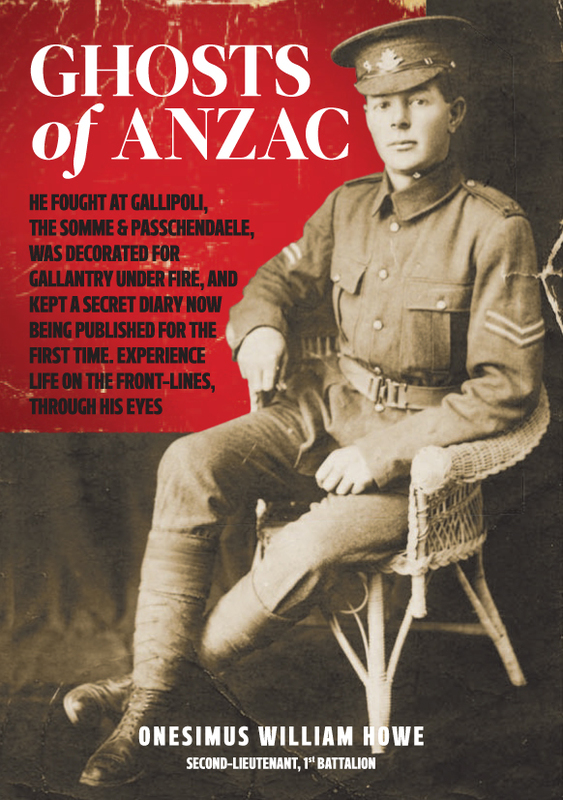 In fact, Howe's experiences at Gallipoli are quoted by historian Chris Pugsley in his book Gallipoli - The New Zealand Story. But it is what happened next that defined WWI for the ANZACS, when they came face to face with heavily armed Germans at the Somme. In this important new work, taken directly from his battlefield diary, see the events of 1916 as if you are there: "That left me in charge of the gun. Percy and I are the only ones left on this gun now..." Compelling, honest, surprising, uncensored. By any measure, Andy Wiseman (born Weizman) is a lucky man. The only son of a Polish father and an American mother, Andy was born and grew up in Berlin, just as Adolf Hitler was coming to power. As a Jew educated at the famous Werner Siemens Real Gymnasium in Schoneberg, he left only months before his school was closed down and fled with his family to Poland, one step ahead of the Nazi persecution that was to follow and later take the life of his father. From Poland he again fled to England, this time without his parents, arriving as a 16-year old with little or no grasp of English. 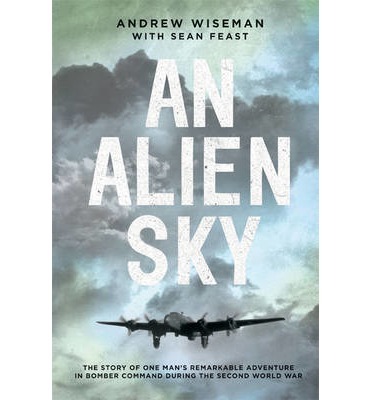 After a crash course in the language, he avoided being called up into the Polish army in exile thanks to the timely intervention of no less a man than General Sikorski himself, to enlist in the RAF to train initially as a pilot and then as an air bomber in South Africa. On his return to the UK he was posted to an all-Australian Squadron (466 Squadron) equipped with the Handley Page Halifax. After his first operation in which he was nearly shot down, Andy survived a handful of eventful trips before falling victim to one of the Luftwaffe's top night fighter pilots and landing in France.Briefly on the run he was betrayed and captured, spending the next 12 months as a prisoner of war, using his knowledge of Russian, Polish and German to act as one of the principal camp interpreters, and working as a 'scrounger' for the 'X' committee of escapers. Moved from camp to camp, he was one of those forced into the 'Long March' by the Germans attempting to escape the Russian advance, and afterwards played a key role in avoiding the potential bloodshed that threatened when the Russians refused to allow the British and Norwegian prisoners to return home - a role for which he was later recognised by the King of Norway. Upon his release, Andy used his language skills to work with the BBC monitoring service and later, BBC Television as a producer, sharing many adventures with the great broadcasters of their time, including David Dimbleby and Raymond Baxter. 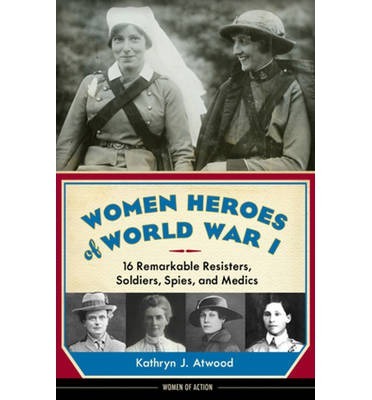 A commemoration of brave yet largely forgotten women who served in the First World War In time for the 2014 centennial of the start of the Great War, this book brings to life the brave and often surprising exploits of 16 fascinating women from around the world who served their countries at a time when most of them didn't even have the right to vote. Readers meet 17-year-old Frenchwoman Emilienne Moreau, who assisted the Allies as a guide and set up a first-aid post in her home to attend to the wounded; Russian peasant Maria Bochkareva, who joined the Imperial Russian Army by securing the personal permission of Tsar Nicholas II, was twice wounded in battle and decorated for bravery, and created and led the all-women combat unit the "Women's Battalion of Death" on the eastern front; and American journalist Madeleine Zabriskie Doty, who risked her life to travel twice to Germany during the war in order to report back the truth, whatever the cost. These and other suspense-filled stories of brave girls and women are told through the use of engaging narrative, dialogue, direct quotes, and document and diary excerpts to lend authenticity and immediacy. Introductory material opens each section to provide solid historical context, and each profile includes informative sidebars and "Learn More" lists of relevant books and websites, making this a fabulous resource for students, teachers, parents, libraries, and homeschoolers. An Amelia Bloomer List Recommended Title A VOYA Nonfiction Honor List Selection Noor Inayat Khan was the first female radio operator sent into occupied France and transferred crucial messages. Johtje Vos, a Dutch housewife, hid Jews in her home and repeatedly outsmarted the Gestapo. Law student Hannie Schaft became involved in the most dangerous resistance work--sabotage, weapons transference, and assassinations. In these pages, young readers will meet these and many other similarly courageous women and girls who risked their lives to help defeat the Nazis. Twenty-six engaging and suspense-filled stories unfold from across Germany, Poland, the Netherlands, France, Belgium, Denmark, Great Britain, and the United States, providing an inspiring reminder of women and girls' refusal to sit on the sidelines around the world and throughout history. An overview of World War II and summaries of each country's entrance and involvement in the war provide a framework for better understanding each woman's unique circumstances, and resources for further learning follow each profile. 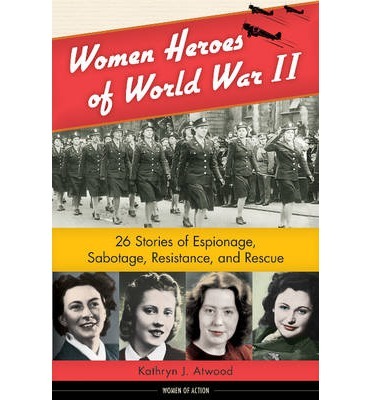 Women Heroes of World War II is an invaluable addition to any student's or history buff's bookshelf. 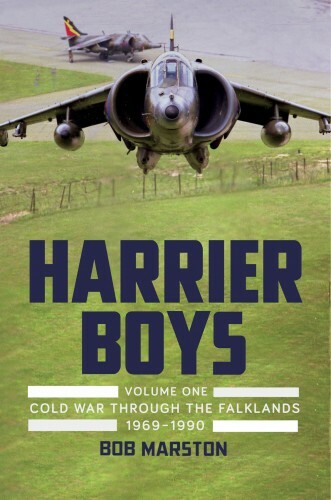 In Harrier Boys, Volume One: Cold War Through the Falklands, 1969-1990, Robert Marston, who flew Harriers for many years, draws together accounts from others who worked with this unique jet through its history. The excitement, camaraderie and pride of Harrier operators shine through in the personal stories of those whose lives were changed by their experience of this iconic aircraft, both on land and at sea. 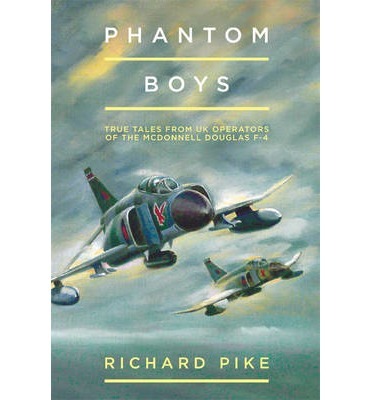 In this first volume, events of the Cold War years are brought to life by contributors including Graham Williams, who flew the Transatlantic Air Race, Peter Dodworth, a member of the original Harrier Conversion Team, Peter Harris, a participant in the early defence of Belize, Sir Peter Squire, OC 1 (F) Squadron during the Falklands conflict, and Australian Dave Baddams, who commanded the Royal Navy Sea Harriers of 800 Squadron. Into the Blue is widely regarded as a literary classic. 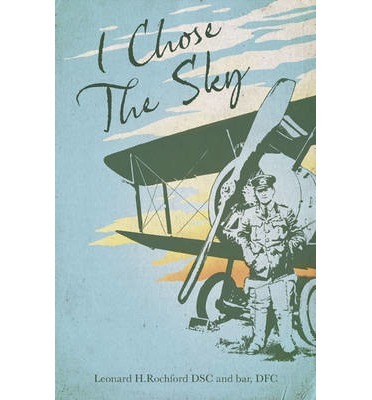 Originally published in 1929, and 44 years since its latest publication, Grub Street reintroduces you to Norman Macmillan’s insightful and gripping book about his experiences as a pilot during the First World War. Wing Commander Norman Macmillan, OBE, MC, AFC, DL, was born on 9 August 1892 in Glasgow. After serving sixteen months in the Highland Light Infantry, he joined the RFC in 1916. He learned to fly at Netheravon, and in 1917 went to 45 Squadron on 1½ Strutters. Norman flew many missions on this type and claimed two victories before 45 were re-equipped with Camels in August 1917; Norman then gained his first Camel victory in the same month they arrived. On 11th September he twice claimed Fokker Triplanes out of control during two separate engagements in the space of a few minutes. Macmillan went on to claim nine victories in all. After being injured in an unfortunate accident on 6th January 1918 he did not see further combat and returned to England to become a flight instructor. 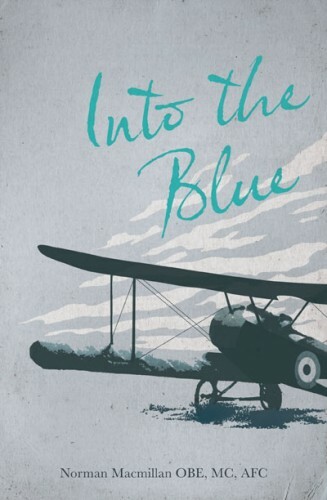 After his experience in the First World War, he was closely associated with flying for many years and also became an enthusiastic writer of aviation books; of which, Into the Blue is the best. In 1925 Norman was the first person to make an emergency landing at Heathrow, which was then a row of cottages. During World War Two he became wing commander war correspondent, before retiring to Cornwall, where he became Deputy Lord Lieutenant of that county. Norman died on 5 August 1976 aged 83. Norman Macmillan was decorated with the Military Cross for conspicuous gallantry and devotion to duty in 1918 and was also later awarded the prestigious Air Force Cross. Have you ever wondered… Which German asked for a squadron of Spitfires? Who were the Millionaire’s Mob? What was a Jericho Trumpet? 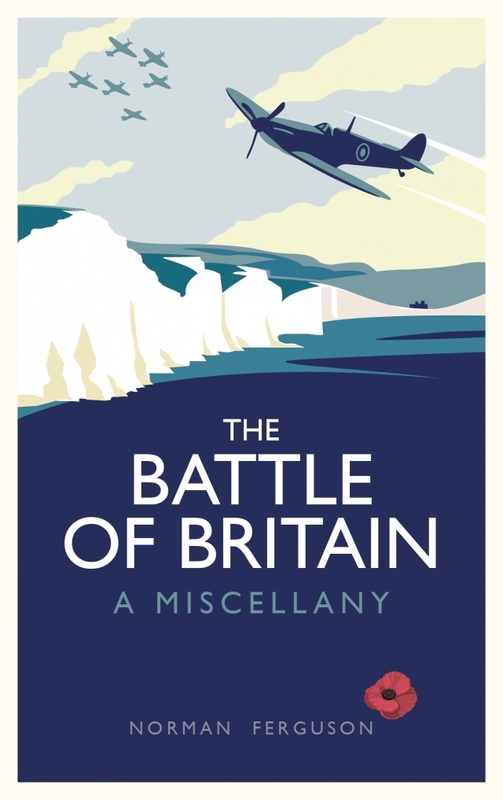 Telling the stories of the commanders, the campaigns, the air raids, the pilots, the aircraft, and the vital invention of air defence radar, from Churchill’s resounding declaration on 18 June 1940 that ‘The Battle of Britain is about to begin’ to 17 September 1940 when Hitler postponed Operation Sealion, this comprehensive miscellany is a compelling guide to this most crucial of Second World War battles – the first to be fought solely in the air. The Middle East is a region steeped in history that has seen the rise and fall of great civilisations and empires over thousands of years. For certain periods of time it has known peace, but today it is engulfed in conflict - a blood-soaked battleground where nations and armed groups fight for control of land, people, and natural resources. But what are the root causes of the seemingly intractable problems and disputes fuelling wars that have cost hundreds of thousands of lives and produced millions of displaced citizens and homeless refugees? Who is really to blame for the region's descent into a nightmare scenario of killing and destruction? Is there any solution, and what are the implications for the countries beyond in Europe and North Africa? 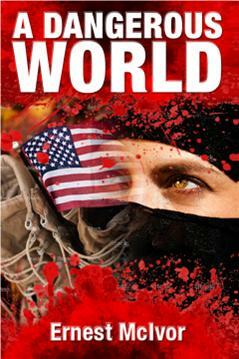 A Dangerous World addresses these questions by examining each of the countries playing a significant role in the geopolitical chess game that today's Middle East has become, and reveals in fascinating detail their present and likely future contribution to the events unfolding in this increasingly unstable meeting point between east and west.